FreeUndelete is a nice, free software only available for Windows, that belongs to the category Software utilities with subcategory Files (more specifically File Recovery). FreeUndelete is a not that heavy program that doesn't need as much storage than the average program in the section Software utilities. It's a software mostly downloaded in some countries such as Indonesia, India, and Thailand. It's available for users with the operating system Windows 2000 and prior versions, and you can get it only in English. Its current version is 2.0 and its last update was on 12/22/2005. Since we added this software to our catalog in 2004, it has reached 89,157 installations, and last week it achieved 11 installations. 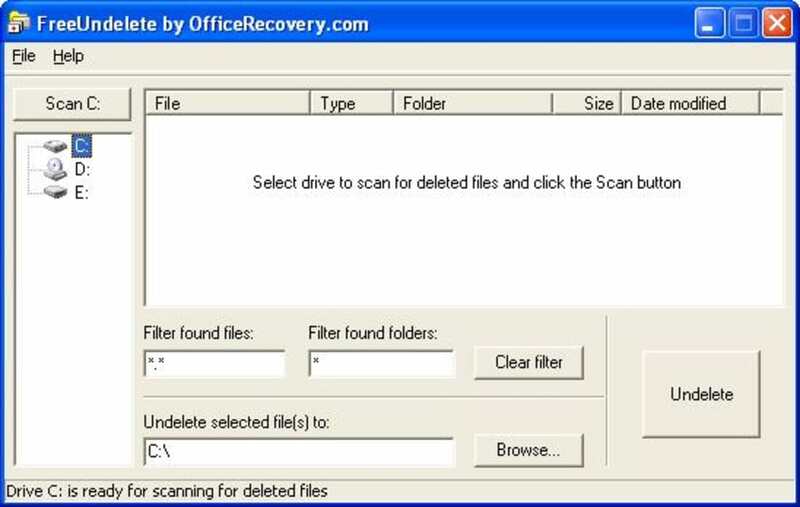 FreeUndelete is a freeware data recovery program for deleted files. In case of accidental deletion of files on a NTFS file system (used by default in Windows XP, 2000 and NT) FreeUndelete is the utility to help. What do you think about FreeUndelete? Do you recommend it? Why?